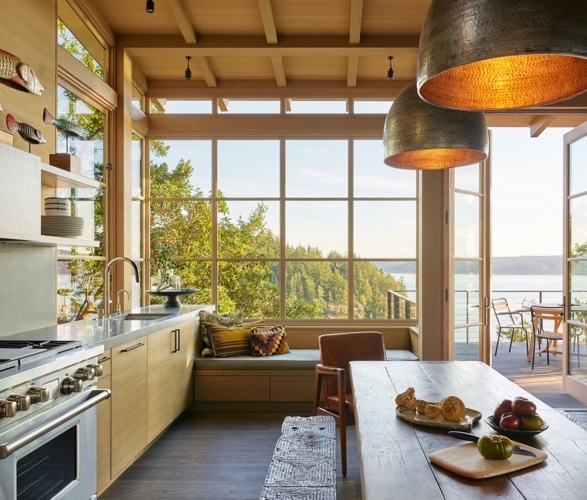 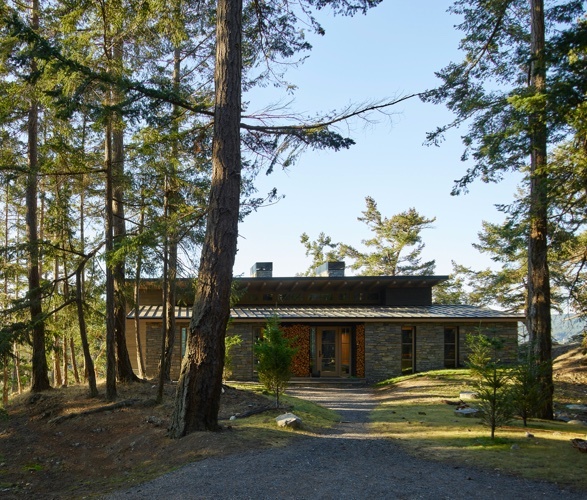 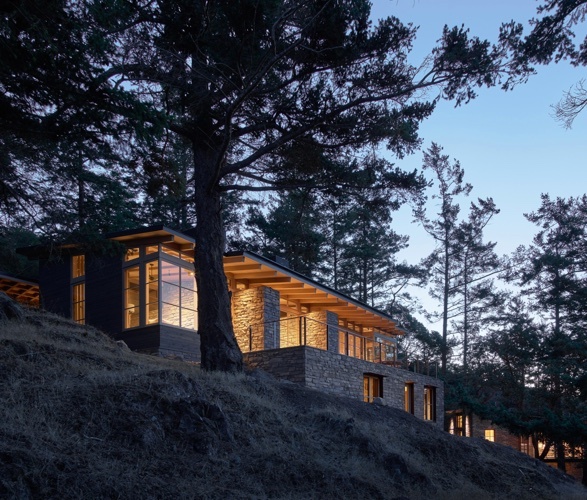 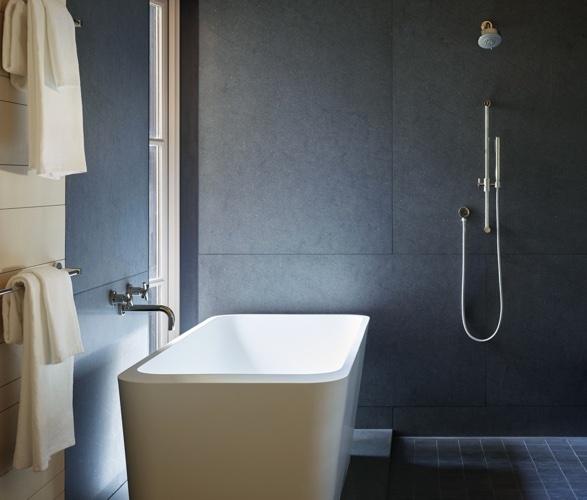 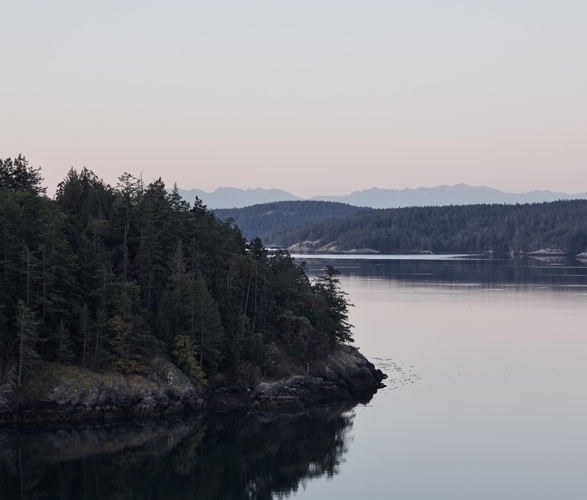 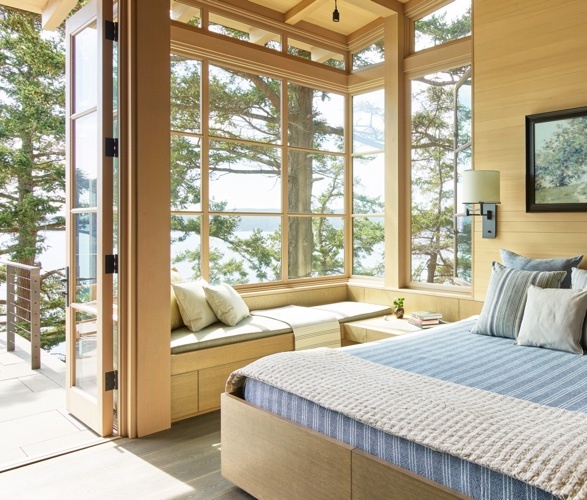 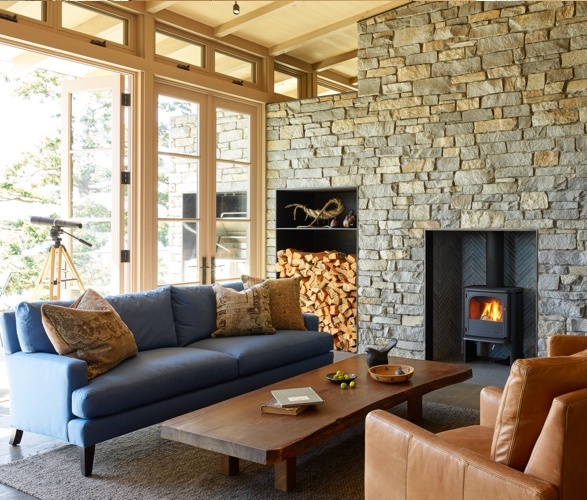 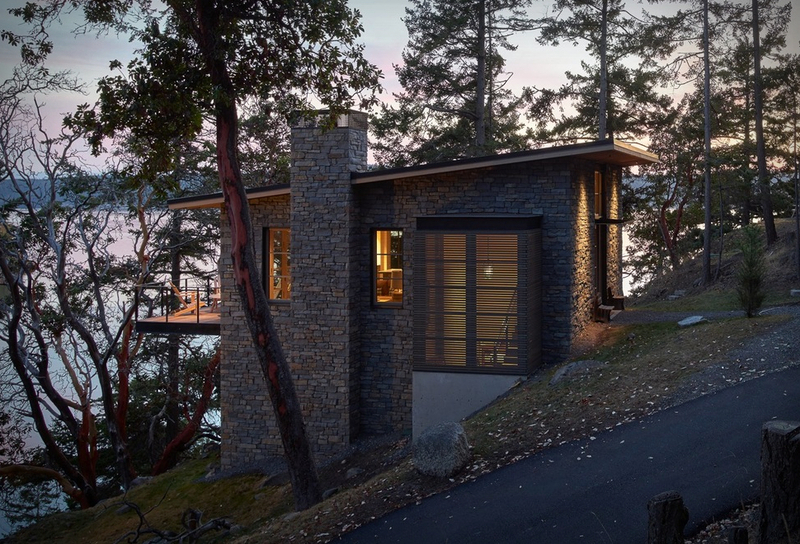 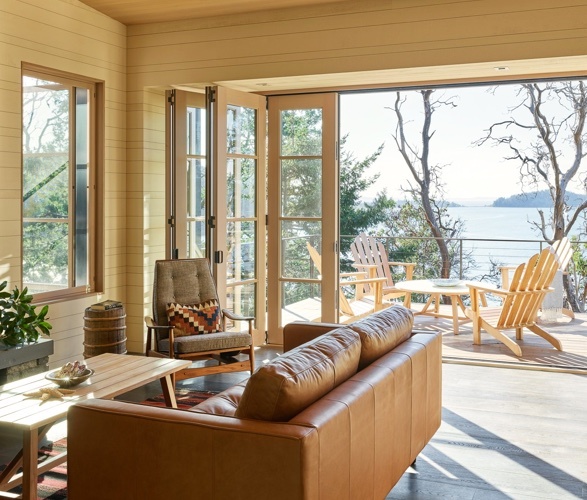 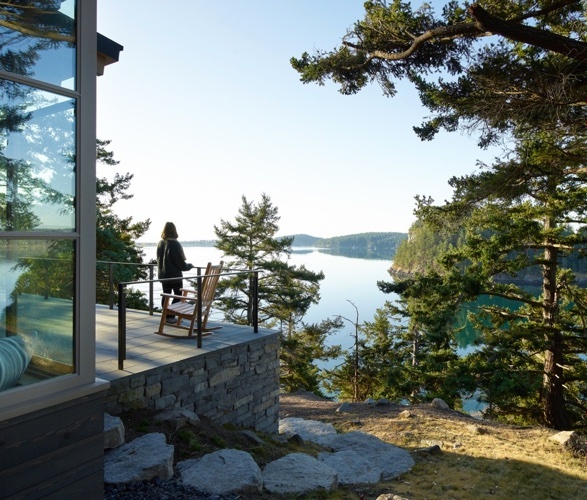 Inspired by a treasured stone and wood home lost to fire decades earlier in the hills of Appalachia, this stunning stone dwelling and guest house are set on a gorgeous landscape in the San Juan Islands, Washington. 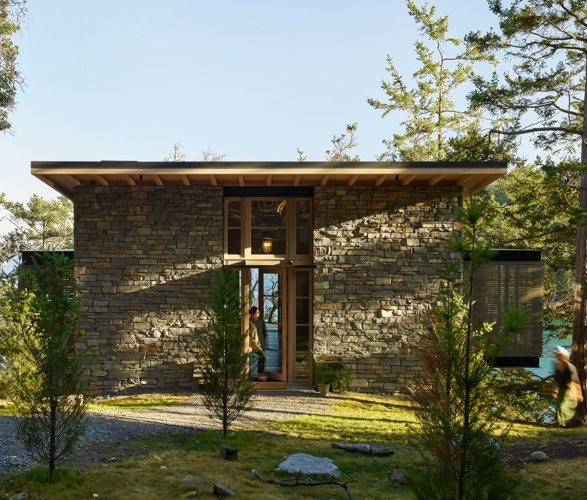 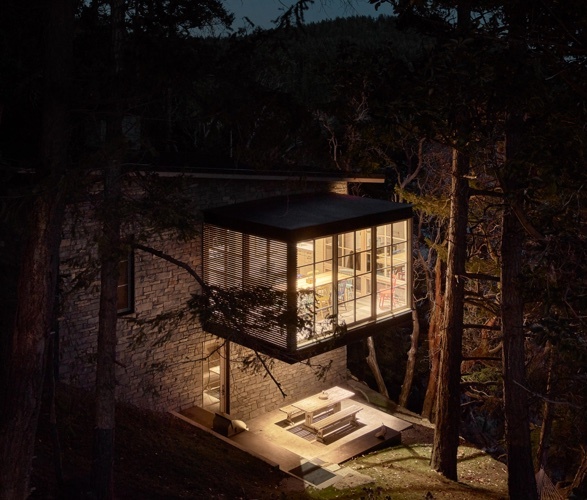 Designed by Hoedemaker Pfeiffer, the new house pays homage to its natural setting, and features simple stone volumes that seem to expand upwards from the rocky terrain. 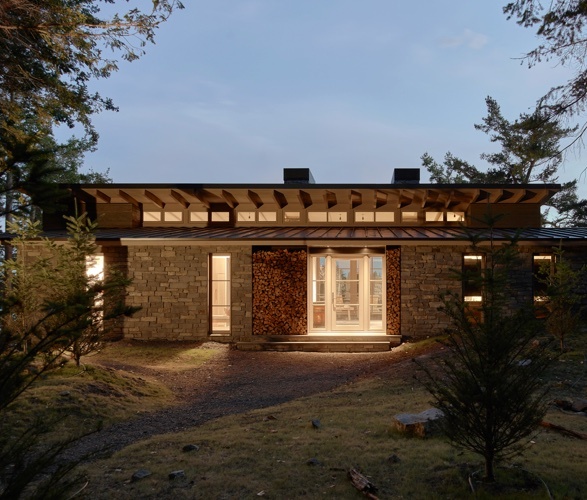 A stone wall and plinth form the rear of the houses, while a wood pavilion rests atop of a low stone base. 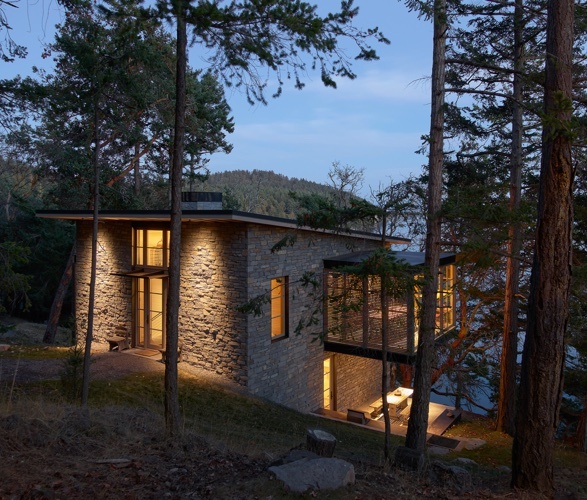 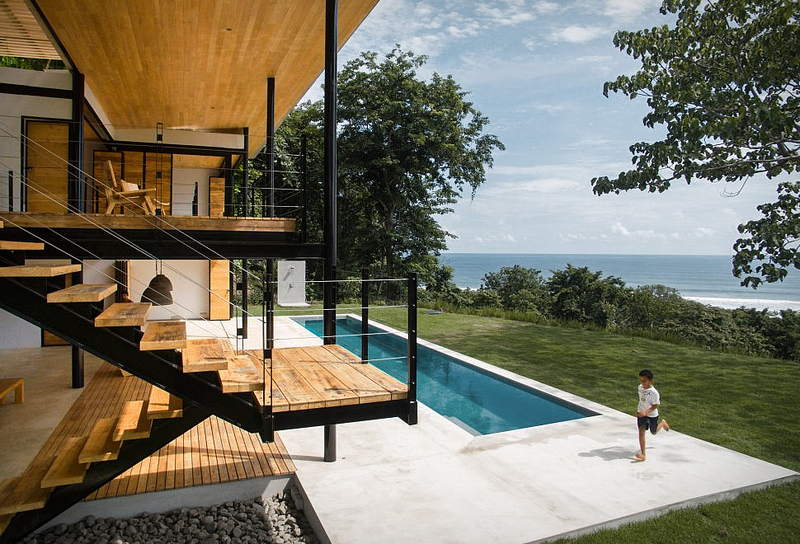 The use of natural stone and solid wood continues throughout the interior of both houses. 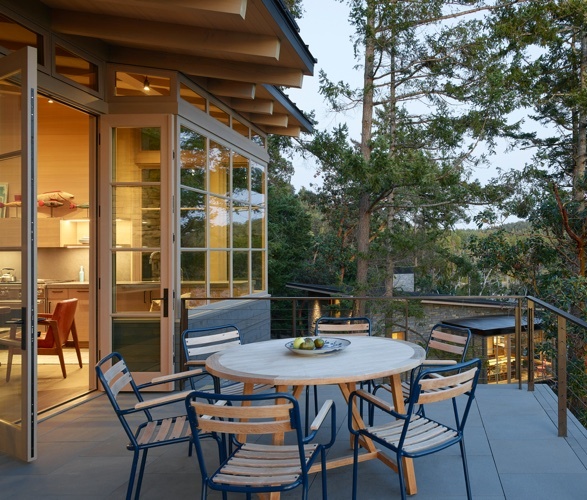 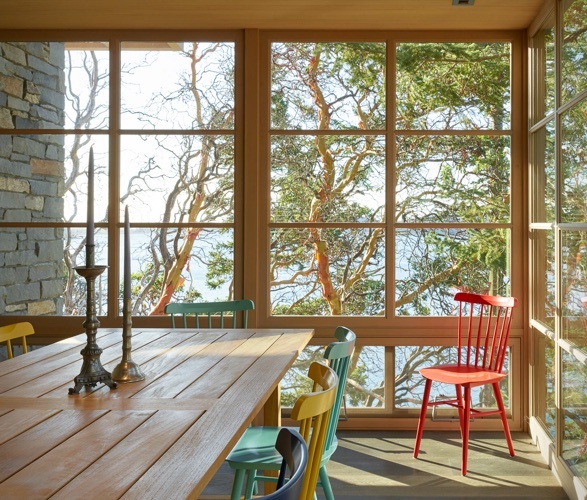 Beyond the expansive glazing is an exterior deck that provides a beautiful outdoor living space, taking full advantage of the sweeping views of Puget Sound.